Brum Radio are very proud to announce Word Play, our collaboration with local writers to celebrate the creative power of the West Midlands. With poetry, short fiction, memoir and mixtures of them all, Word Play features seven exceptional writers and showcases the power of the written word. 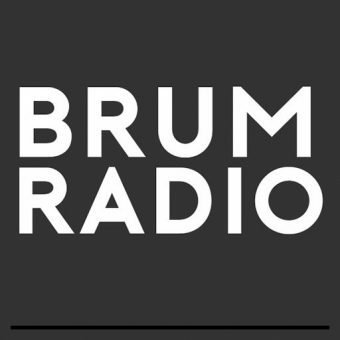 All the pieces were selected by Brum Radio to reflect the diversity of writing in the reason, and have been produced with soundtracks and specially-composed music to highlight the quality of the pieces. We believe that Word Play represents a powerful calling card for the standard of writing in the region, and feel sure that you will love the recordings. Word Play was produced by Andrew Grewcock and Blake Woodham with sound design by Bridge Williams and music by Anna Palmer. It is presented by Blake Woodham for Brum Radio. “Master of the Metal String”, written and read by Anna Bradley. The story is inspired by Anna’s Grandfather who passed away many years ago, but whose dignity and vulnerability as he died of cancer left a lasting impression. “Saturday in Greenhill Café” by Darren Cannan. Darren’s poetry evokes the majesty and mystery of the everyday. Darren’s words can be found on the album Analogue Tales which he created with the musician James Summerfield. The poem is read for us by the author. “A Message for George” by Alison Jean Lester. If you have ever seen a discarded letter, notebook or even a scrunched up shopping list and wondered about the story behind it, then our next story will fascinate you. Written and read by Alison Jean Lester, this story will strike a chord with anyone who remembers being asked to write a school essay about a work of fiction. Read by Andrew Grewcock, Proud of our Parking is a warm tale of community and redemption via traffic control. “Morning Fog” is written and read by Rob Jefferson Brown. Atale of friendships made and friendships lost, taking place at a funeral. Rob can be found on twitter at @writesaidrob. “Home Solutions for Mould” by S.R. Masters. Our final piece is the longest of our tales and deals in the immense bottomless loss of a bereaved mother. The story is read by the author, whose debut novel “The Killer You Know” will be released in August 2018.